Due to acne or injuries, many people suffer from scars that cause them embarrassment or discomfort. At Dianna’s Laser, our goal is always to make you, our client, feel confident and at your best. With that in mind, we offer laser services to treat the appearance of scars due to injury or acne. Scarring can often appear red, so treatment options often begin with turning scars white using a host of red treatment lasers. 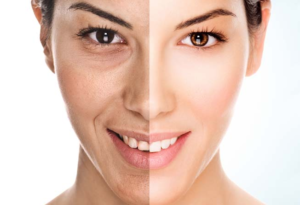 Following this, scars are treated with laser technologies such as fractional ablative and non-ablative lasers, fractional radio frequency devices, and under the skin heating systems. It is important to note that for those seeking treatment for acne scarring, if they have been on a Retinol prescription products, they must be off of it for at least six months to a year due to increased sensitivity. During your initial consultation, we will discuss any medications that could affect treatment progress as well as all your treatment options and estimated time and number of treatments required to achieve your aesthetic goals.